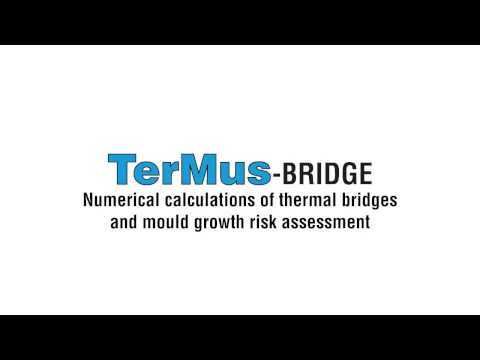 TerMus BRIDGE analyses thermal bridges determining the linear thermal transmittance and heat flows using a finite element analysis model compliant with The software combines simplicity and speed of use to an advanced and accurate analysis of the heat flow within the thermal bridge starting from a precise definition of its elements. Resulting data and diagrams produced by TerMus BRIDGE allow you to identify potential problems immediately and solve them on the spot. ?